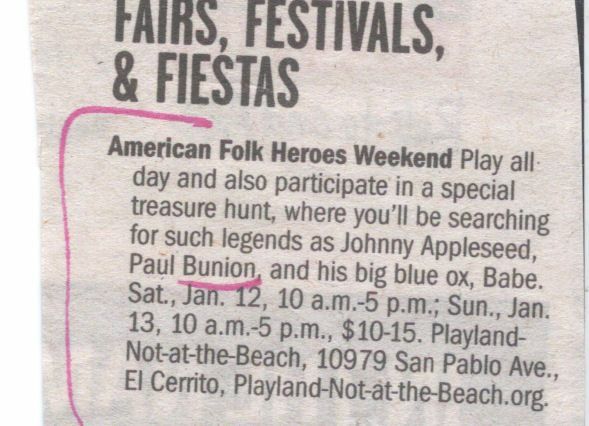 Apparently, folks in California are looking forward to a visit from one of their favorite folk heroes: Paul Bunion. Wonder if he’ll be traveling with his pals Tom Toenail and Harry the Hammertoe. Here on the East Coast, we’ll be holding out for a visit from that other guy: Paul Bunyan. H/t to my West Coast correspondent, who spotted this little tidbit in the East Bay Express.